Join us on Tuesday and Thursdays at 11:00 a.m.
Are you interested in receiving personal training within a group class setting? 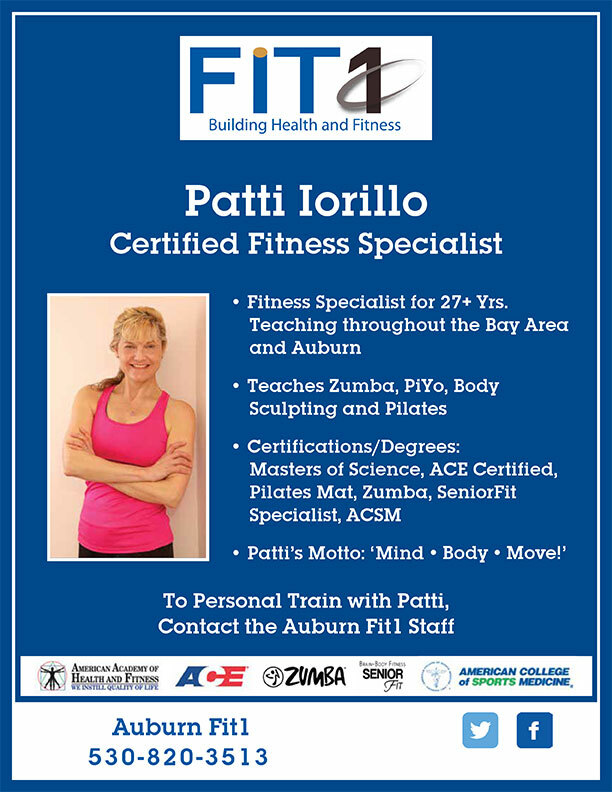 If so, join Patti for a full-body workout and expand your knowledge of Pilates’ based methods and correct technique using a variety of small apparatus. Maximize core strength and control, balance and stabilize muscle groups, correct posture, increase balance and alignment. This class is great for all ages and skill levels because modifications and assistance is provided. Auburn Fit1’s Core, Technique, Strength & Balance class.